Paul first described how Thomas Cook look for a certain amount of diversity in their pilots. They are keen to maintain a diverse demographic in both their student and direct entry pilots. With regards to their direct entry pilots, they do recruit many pilots during the summer season, especially those type rated on the planes that Thomas Cook fly. In answer to my questions about whether they prefer pilots that have gone down the modular or integrated route, pilots from certain training schools or whether the pilots are ex-military he said that it didn’t matter. They are much more interested in the quality of the pilot that presents him or herself for the flying job. 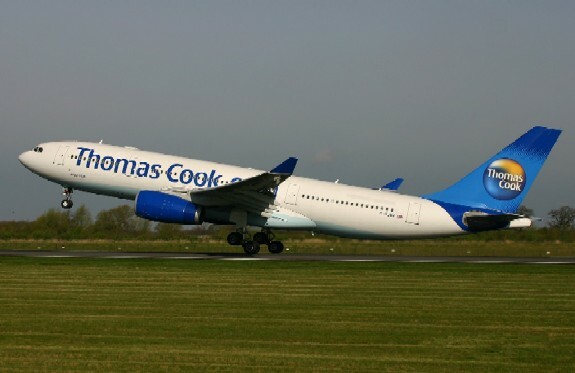 As at summer 2010, Thomas Cook have just recruited pilots for their Cadet Training Scheme. 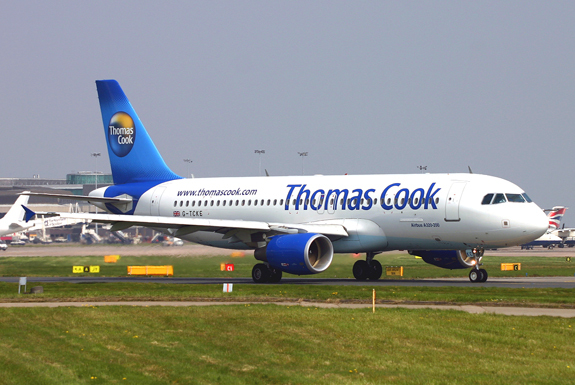 Thomas Cook’s Cadet Training Scheme is a sort of mentoring programme for ab-initio pilots. They do contribute something to the cost of training but the majority of the cost is still born by the student. Thomas Cook do mentor the students and offer them a guaranteed position as a pilot at the end of their training (as anything can be described as guaranteed in today’s airline environment). 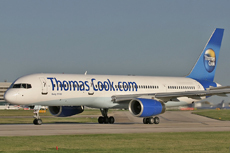 In their student intake, Thomas Cook are not looking for any previous flying experience. There are no specific academic qualifications required but Paul says that maths, science subjects and the likes of geography are useful at A-level but not essential. A certain academic ability is useful though in that there is a huge amount of material to remember for the exams. Paul sees motivation and commitment to be extremely important in their students as the route to becoming a pilot is long and arduous. Their selection process for the cadet scheme involves numerical and verbal reasoning tests, aptitude tests, psychometric tests as well as observing how the candidates work in group/team environments over 4 stages. The successful candidates begin their training in November 2010 in Jerez in Spain with Flight Training Europe. The course is residential and takes approx 15 months. The students then emerge with their frozen ATPL. During their stay, Thomas Cook mentor the students and give them some financial support. At the end of this training, the student pilots are then given some extra training including Jet Upset Training Course and a Jet Orientation Course. Upon the successful completion of the course the students will be offered a 2 year fixed term contract to fly with FlyBE, Thomas Cook’s partners in this scheme. At FlyBE they will be operating as First Officer on the Dash 8Q 400 aircraft. After this 2 years’ of secondment at FlyBE, the pilots should be offered a place flying Airbuses or Boeings with Thomas Cook. When I asked Paul about the guarantee of a job with Thomas Cook he said that they wouldn’t be making this financial commitment if they weren’t reasonably sure about being able to use the pilots once they had been trained. In terms actual figures, Paul quoted approximately Â£70,000 for the course in Jerez of which the student really has to find around Â£60,000. Flight Training Europe has a good relationship with a Spanish bank to get the required loans sorted. Thomas Cook will then pay the pilots salary when they are at FlyBE. Paul is confident that the Thomas Cook Cadet Training Scheme is the best one available on the market and is happy that they will attract the very best calibre of candidate. He anticipates doing one course per year but this is subject to change as market forces dictate. I asked Paul about the route to the left seat and command of a big jet. He stressed that the route is quite a long one, up to 8 or even 10 years. When you join with less than 500 hours you will be a Second Officer, being promoted to First Officer at that 500 hours. With an unfrozen ATPL at 1500 hours you will be promoted to a Senior First Officer. The hours required for a command are set at a minimum of 4500 hours but this more down to seniority rather than on hours alone. Paul says that they set the bar very high for their commanders. Obviously, as a charter airline, Thomas Cook is very busy in the summer and much quieter in the winter. They carry a surplus number of pilots in the winter and recruit temporary pilots for the summer months. In the current environment, with the recent demise of several airlines, Paul says that there are sufficient qualified pilots out there for them to recruit. As the airline market improves Thomas Cook will probably have to recruit more full time pilots and then the challenge will be to try and find more places to fly during the winter months. Thomas Cook fly long haul and short haul. Pilots tend to start on the narrow body aircraft, flying short and medium haul routes. They have bases in Newcastle, Manchester, Glasgow, Birmingham, Belfast, East Midlands, Stansted, Bristol, Cardiff and London Gatwick with a summer only base in Leeds. Pilots will be given a type and a base and they will be expected to live close to the base airport. Paul thinks that the airline market is improving with middle eastern airlines now buying large numbers of new aircraft so he thinks that the future of commercial aviation is becoming more attractive. Lastly Paul gave me a quick run down of his career in flying. 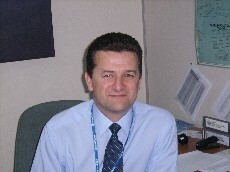 He has been with Thomas Cook, as Chief Pilot, for the last 2 years and still flies a Boeing 757. This entry was posted in All Podcast Episodes, Commercial Aviation, Flight Training, Flying Professionals and tagged Charter Airline, Flight, Flight Training, Flying, General Aviation, Podcast, podcasts, Thomas Cook Airlines by admin. Bookmark the permalink. Cool interview. Good info about the cadet scheme. Hi, love the podcasts. This is the best yet. Tried for cadet scheme myself but no luck. Will try again next time. Lovin it. Keep em comin. Brilliant podcast. Great to hear how Thomas Cook recruit their cadets.